From June 10th and during Pitti Immagine Uomo Fashion week, the shop-windows of our boutiques are dedicated to the great American collector, Peggy Guggenheim, and to the outstanding protagonists of the exhibition “From Kandinsky to Pollock” at Palazzo Strozzi until July 24th. 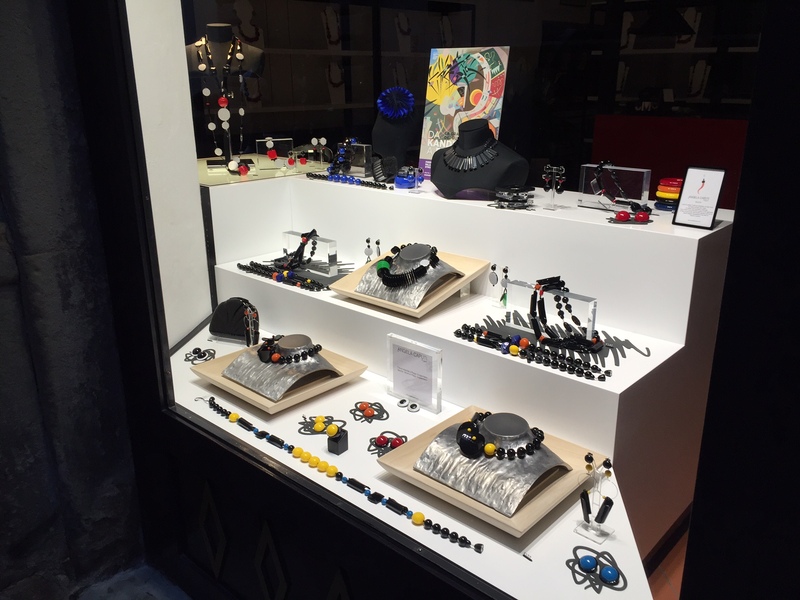 The Florentine designer, Angela Caputi, created a limited edition of bijoux all inspired by the patron Peggy Guggenheim and her passion for jewelry and for contemporary art. Later the collection will be presented in Milan during the fashion week and it will be available in our boutique in via Madonnina 11.